An opportunity to save lives! 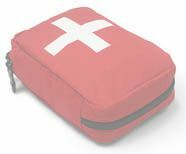 Public access product, the automated cardiac defibrillator will give chance to eyewitnesses to intervene immediately and considerably increase survival chances. Indeed, the time factor is essential. More info about Automated cardiac defibrillator Def-I Colson ?